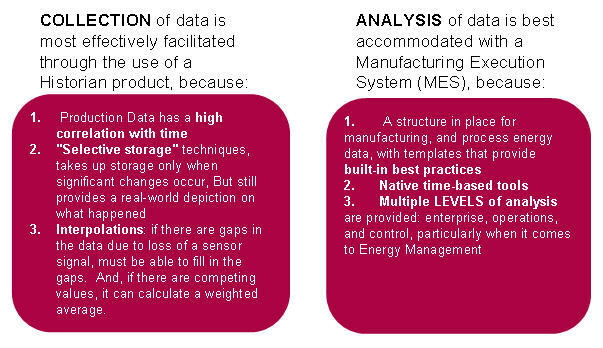 As I reflect on the brilliantly written blog, “Industrial Process Data – A Potential Productivity Gold Mine”, by my colleague John Boville, I’m reminded about the impact of industrial energy management initiatives on data collection volume. Big Data, the practice of collecting massive data sets with the intention of finding correlations and trends, was once the exclusive domain of marketers and government. These data sets can predict how consumers will react to advertising campaigns, how successful products will be accepted in the marketplace, and how potential terrorists plan their attacks. However, industrials have been quickly ramping up their efforts to collect data from process energy measurement sources: meters, drives, intelligent starters and motor control centers, and correlating this with data from production equipment to identify trends that can support continuous improvement efforts. This practice is accelerating the industrial contribution to the stockpiles of data being stored. 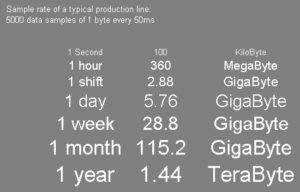 For example, if a typical production line collects 5000 bytes of data every 50MS, the storage required can approach 1.5 TeraBytes every year. Unfortunately, much of this industrial energy data, which can drive down energy costs and optimize processes, is NOT leveraged to its full capacity…but whose job is it to do this? 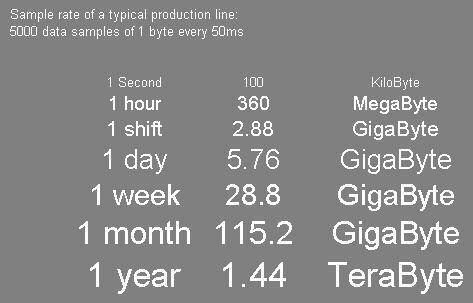 The IT department is fluent with database management and analysis, but not usually privy to the specific requirements of production data. Sothey force-fit production data into their existing business analytics packages from SAS or IBM, or use off-the-shelf commercial applications, like from Jaspersoft or Splunk which is not the best approach. Production data and associated process energy data warrant special consideration when it comes to both COLLECTION and ANALYSIS, to make storage and access more efficient….these warrant the use of Industrial Historian and Manufacturing Execution System (MES) software. How is your company embracing “BIG DATA”? It’s all about data these days. While some more traditional people might drag their heels in entering the informational age those companies that embrace it full-force are bound to benefit greatly from the myriad efficiencies and knowledge it provides. Data is the rout of any industry today as everything has become Automated. Saving and Collecting this data is a big task but managing the same data is a bigger one.Talking about energy there are so much heavily loaded and big machines in the Industry which consumes more power.